Fantasy football app Gloryhunter has secured an exclusive partnership deal with betting giant Betfred. 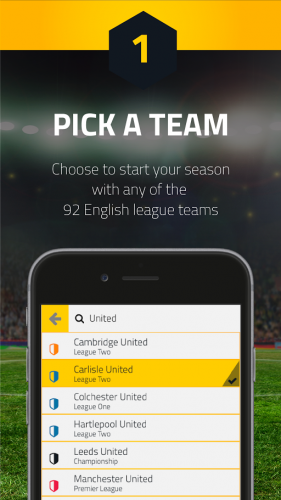 The game, which launched last year, is the brainchild of Richard Hague, from Manchester, who identified that people found it hard maintaining fantasy football teams across a season. It aims to be simpler and allows players to select any team in the English League and play with friends and fans across the world. The app has been updated for the 2016/17 season and includes extra game updates, more chances to win prizes and increased game play. The Gloryhunter team is comprised of creator Richard Hague, co-creators Stuart Kay and Richard Blake and business development manager Christian Single. Betfred founder Fred Done said: “Gloryhunter is something that true football fans will enjoy this season and it really stood out to me as a digital game that is going to soar in popularity. Gloryhunter was introduced to Done by Warren Jacobs, MD of digital marketing company ActiveWin Media, a firm backed by the Betfred owner. Through the new partnership, users can now view odds from Betfred for every match and win monthly points and prizes from Betfred and Nike, another partner.